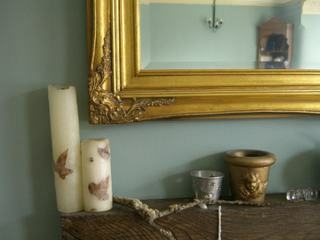 Despite the damp, grey day making taking photos a challenge, I wanted to show a couple of recent acquisitions . 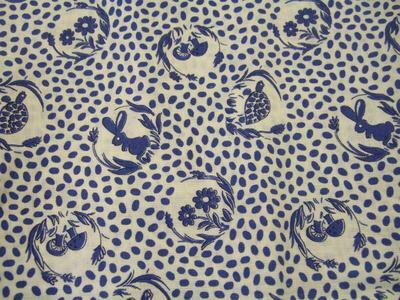 This fabric was a recent win on ebay, it's a crisp cotton in a lovely shade of blue with mushrooms, rabbits, flowers and tortoises on. A child's print without being too twee. Of course I don't have a project in mind for it yet, I just wanted it! 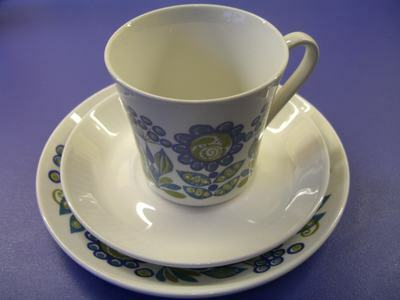 There are 5 cups and saucers but 6 plates so I could sell it as a set for 5 and still keep one lovely plate for me. 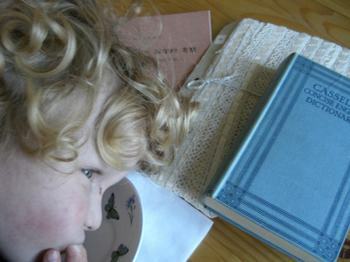 Blue is my favourite colour, to the horror of my son who believes, at 3 years old, that girls like pink and boys like blue. This misconception is only reinforced by his 7 year old and pink obsessed sister! 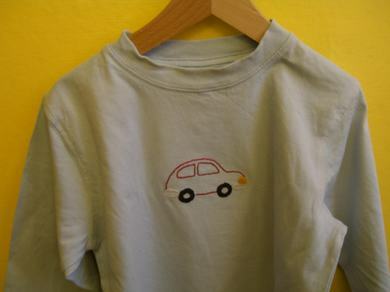 Have embroidered this little car onto a t shirt for my son to jazz it up a bit. He now wants one with a cowboy on amd my daughter wants a swimmer, acrobat and a ballerina - not sure my drawing skills are up to the task! It's relaxing to sit in the evenings and do some embroidery, though now I'm at home all day relaxing is less of a problem. Am slowing adapting to my new life, it's a bit lonely when you are used to a busy office full of people but the time I'm getting to spend with my children is great. Instead of rushing home for a quick story before bedtime I can now enjoy their company and doing things with them much more. We have some baking planned for this afternoon, which can be a bit fraught and messy with a 3 year old, but I'll try and hang onto my patience! which makes for a much better picture! I love handbags, I have far too many but keep them for years, sometimes putting them away for a while and then getting them out and enjoying them all over again. This latest arm candy is a gift from my friends and colleagues from work. We went out for a few drinks (and then a few more...you know how it is sometimes!) to mark the occasion of my redundancy and they had bought me this lovely bag, amongst other things. 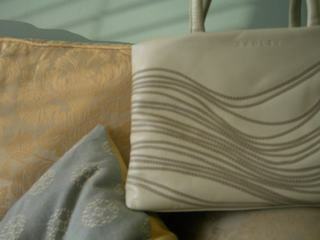 I love the organic way the the waves flow over the bag and am really touched at the time and care taken to choose me such a lovely gift. Have been lucky in the local charity shop today and found this solid wood little table for only £4.50 so I snapped it up quickly before anyone else could. 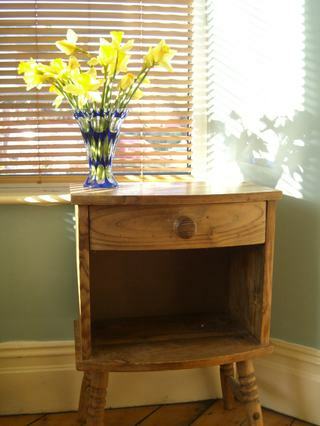 I suppose it is a bedside table really but might use it for storing magazines in the living room. There are far too many Coast and Country Livings piled up on the floor and a home for them is long overdue. I will sand it back and give it a wax finish or maybe a lime wax, I'll see how I feel at the time. Finally got the broadband back, what a relief after nearly 3 weeks. I really missed my daily fix of some of your fantastic and inspiring blogs so I'm going to enjoy a big catch up. Have been using my time to work on some projects rather than spending so long in front of the screen so it's not been all bad! I've finished off some cushions and draught excluders as the wind has been invading the house through our creaky old front door. In fact having more time for mothering and nesting is wonderful and is a definite benefit of being made redundant. I've been making some notebooks, some I've given away but this one is for me. It's made from recycled fabric, a dress I found in the charity shop and a pair of my husbands old jeans. The buckle came in a bag of odds and ends from the Antique Textile Fair that is held in Manchester. It's a treasure trove of inspiration and temptation and well worth a visit. Well I've wound up the rubber band that powers my temporary dial up connection and can hopefully get through a quick post before it wears out! Life has taken a dramatic new turn as I have been made redundant from the company that I have worked for for the past 17 years. It feels odd to wake up in the morning and be able to do anything, it has been the framework of my life for so long that the freedom to do things differently will take some getting used to. I am planning to take a few months off to spend more time with the children and at home, and then who knows. I might retrain and do something completely different, I was a manager for an IT recruitment company and would like to do something more creative with the remainder of my working life. I don't know what yet but as my mind unwinds from the stress of work I'm sure some exciting plans will form. I'm sure I'll get some more ideas over the next few weeks as my mind settles from the recent big changes. 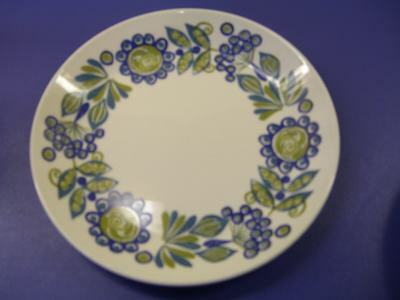 I have used the time that I would usually spend on line to get to grips with some WIP and once AOL take pity on me and give me back my broadband I'll post some photos. Well I'd barely got started before technology intervened to put the kibosh (kybosh??) 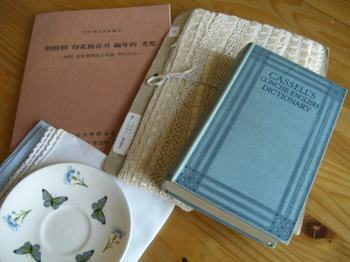 on my burgeoning blog. I've not had my broadband connection for a week now, AOL blame BT and BT blame AOL blah, blah, blah............I'm not bothered who caused it but I just want my broadband back! I've got a dial up connection today which I think is powered by a sticking plaster and a couple of elastic bands but at least I can get on line. I've realised this week just how much time I waste spend on line, I usually do my weekly shop on line but this week got out to the local shops instead and enjoyed shopping locally in my community. I think I will continue to shop this way as it's nice to see the fruit and veg, feel it and smell it before you buy. Even small things like finding the telephone number for the dentist would usually be done on line, getting a quote for my car insurance or helping my daughter do some research for her homework on Ancient Greece. So a different approach to life. I've really missed reading the inspiring blogs that I like to visit each day, but am looking forward to an indulgent catch up session once normal service has been restored.